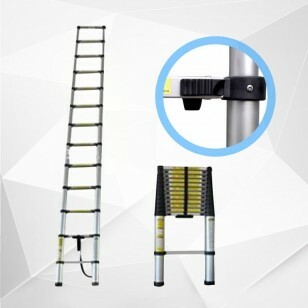 This brand new strong and durable 3.8 Meters Telescopic Ladder is a must have for every home. 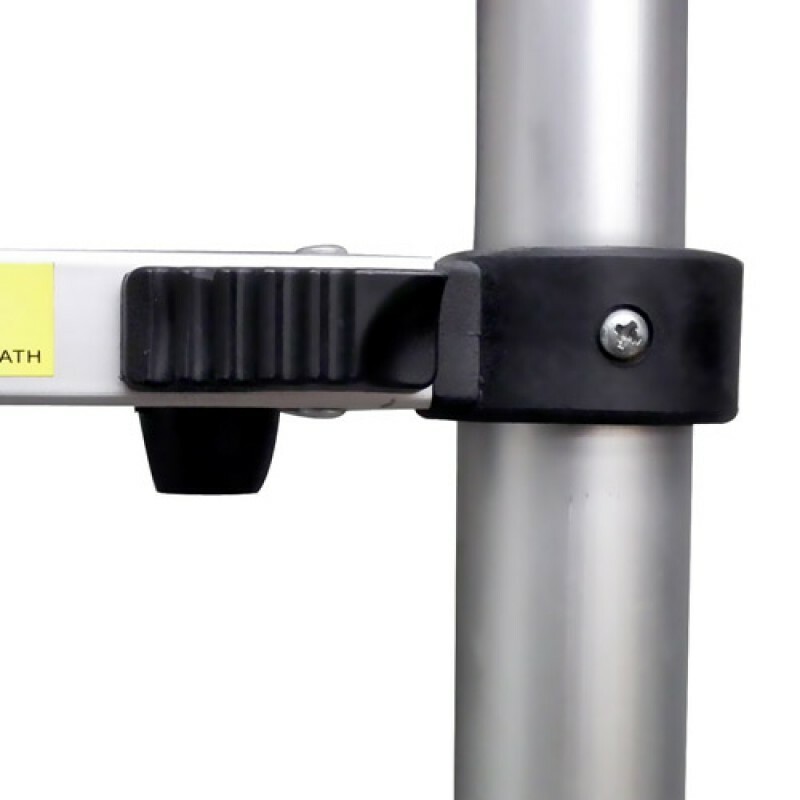 Easy to operate, compact and light weight make this telescopic ladder can fit into any closet or even a drawer. 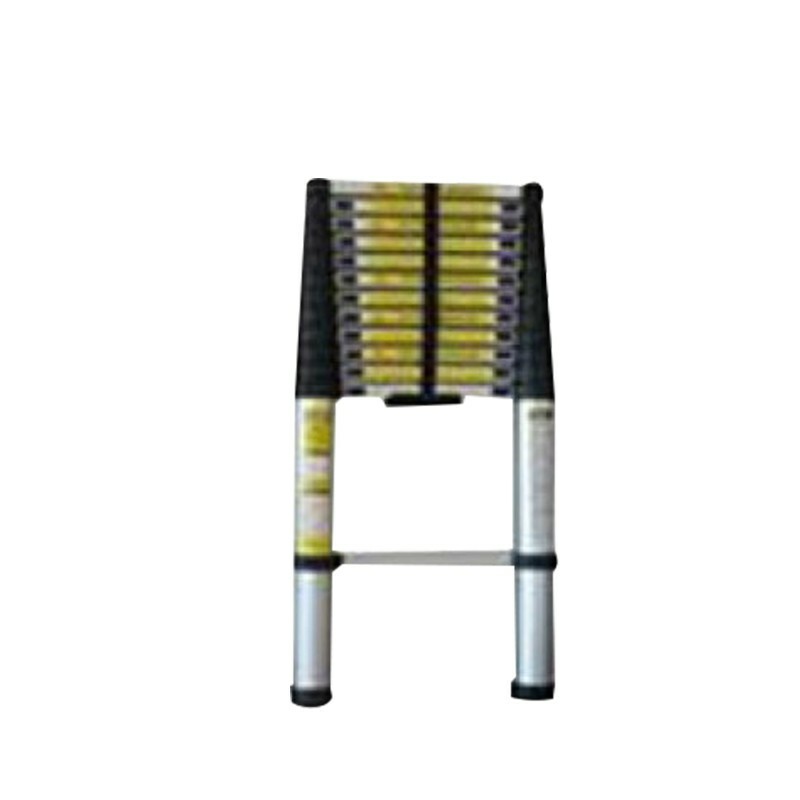 This lightweight and compact telescopic ladder is Ideal for a wide variety of home improvement and construction projects. 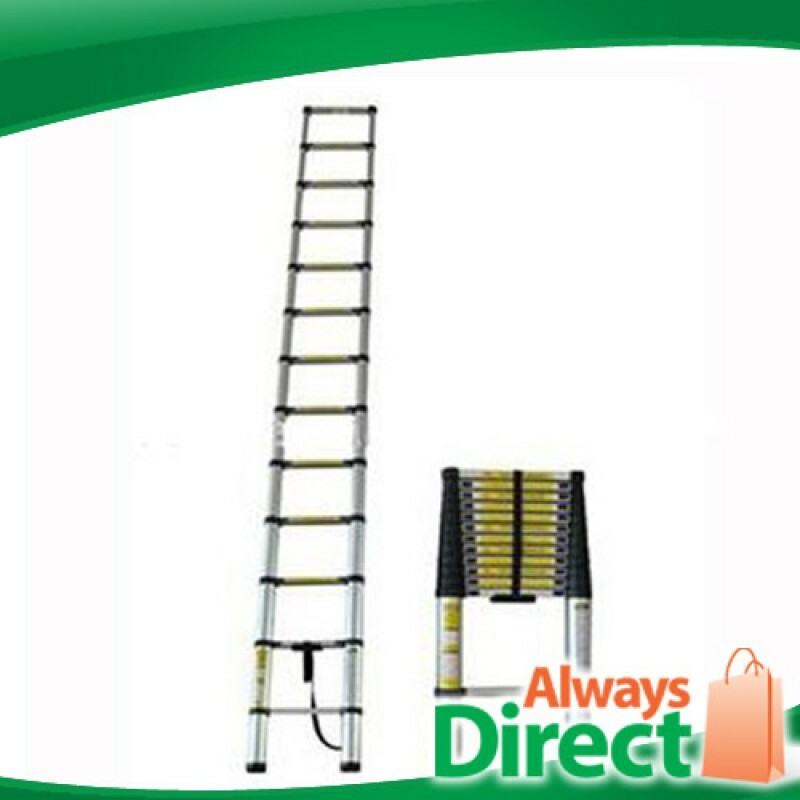 Constructed from sturdy aluminium, these retractable aluminium ladders pack nine rungs into a compact unit. 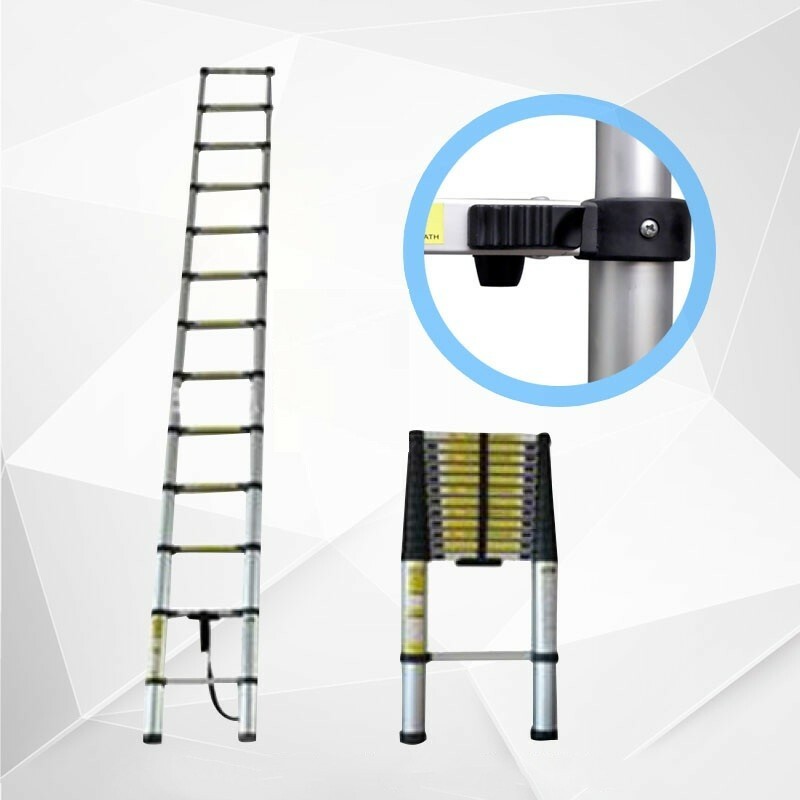 Weighing only 11 kilograms and with dimensions of 105X50X10cm when folded, this telescopic ladder can be easily transported or stored in cabinets/drawers. 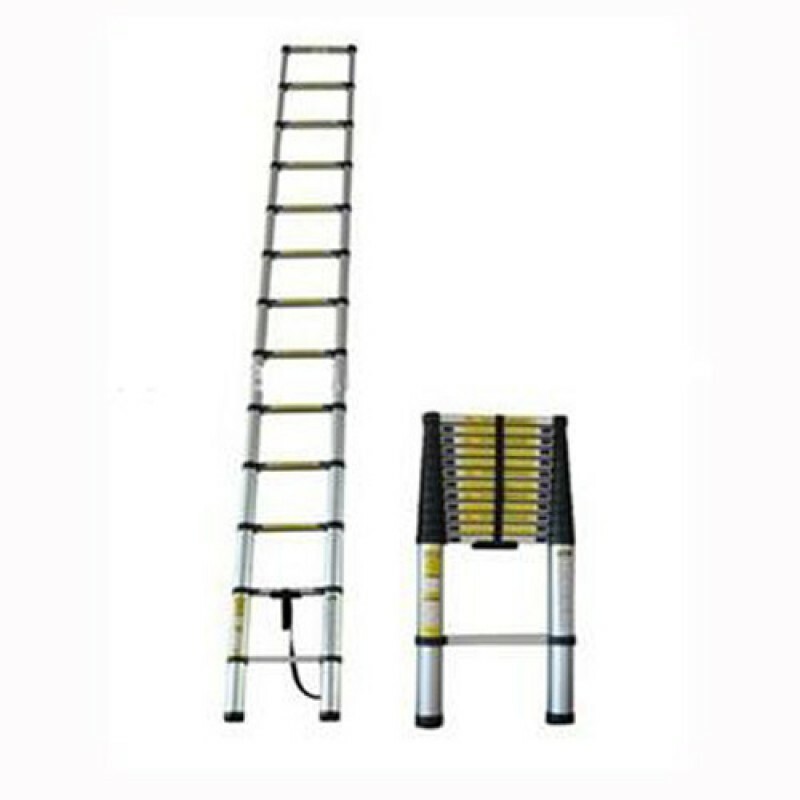 This ladder features ascending steps lock into position, and non-slip rubber feet ensure maximum safety. 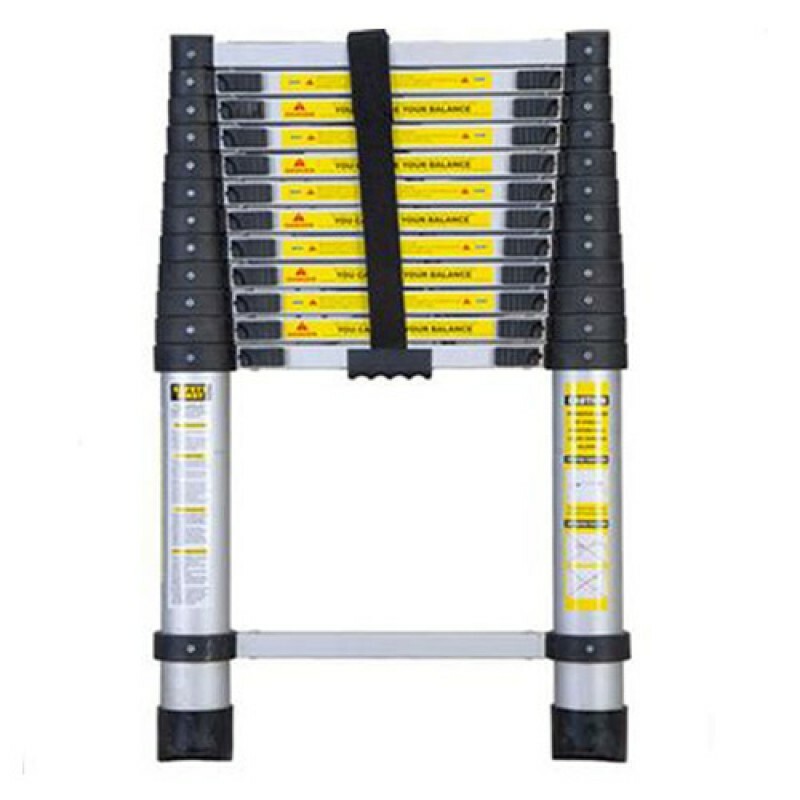 The maximum load capacity is 150 kilograms for these ladders - good for any traders. 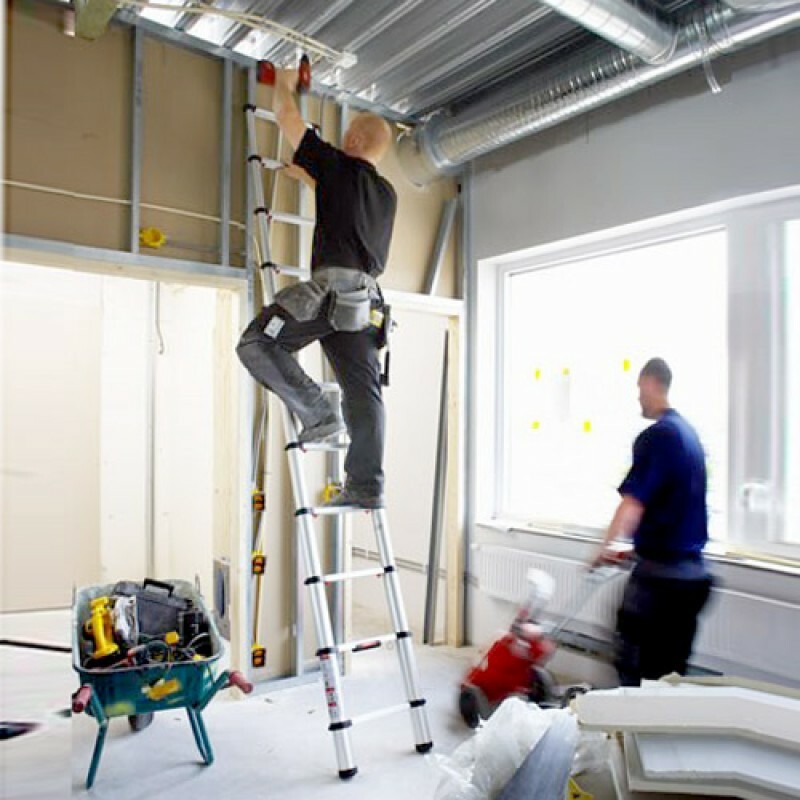 Rungs of these ladders are spaced 29 centimetres apart, for a total height of 3.2 meters. 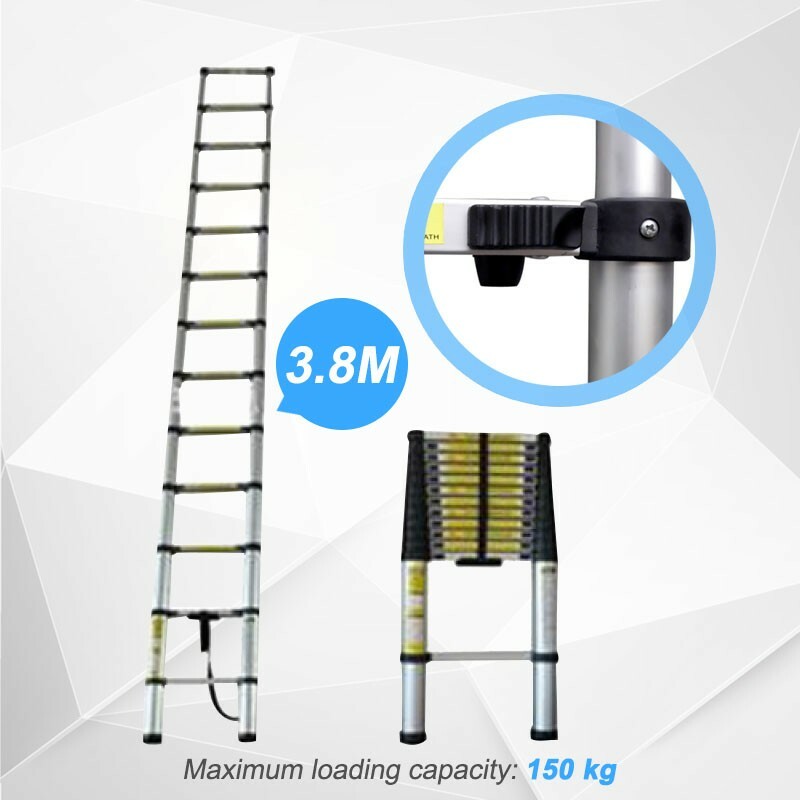 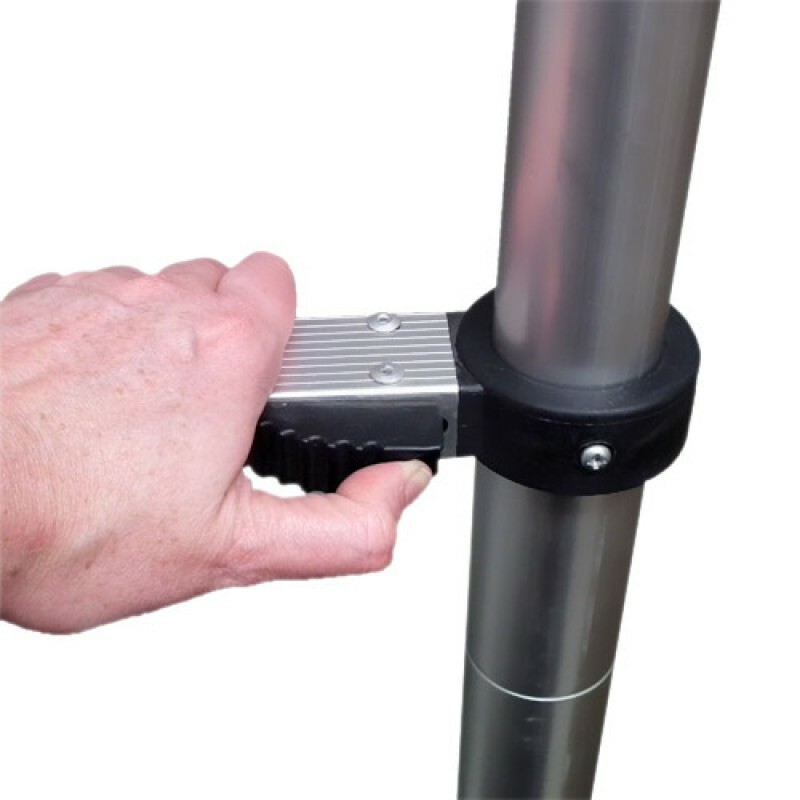 The 3.8 meter Aluminium Telescopic Ladder is truly the handyman's friend!